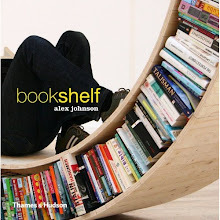 Bookshelf: What does your bookcase say about you? When bookshelves aren't giving away our deepest secrets or providing browsing or boasting opportunities, they can be decor essentials in their own right, says Ms Geddes-Brown. In fact, bookcases occasionally have nothing at all to do with reading.